The road to recovery has never been cuter. Veterinarians recently came to the rescue of an adorable little wild cat who was found on the verge of death in the forests of Colombia. She'd suffered numerous fractures to her limbs during an attack by other animals. Local villagers saved her from drowning in a creek where she'd gone to escape. 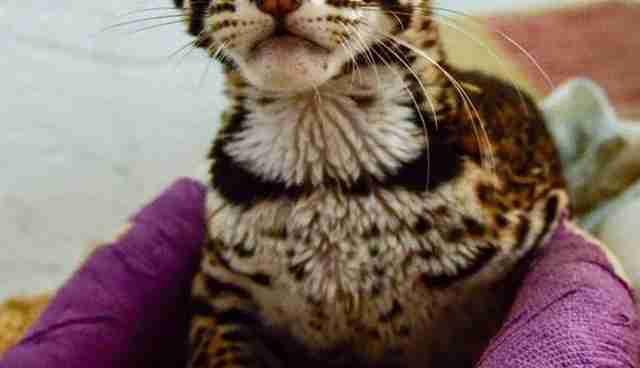 Though initially believed to be a baby jaguar, experts from the wildlife agency Corpoboyacá determined that the furry survivor is actually a margay - a small feline species native to the forests of Central and South America. 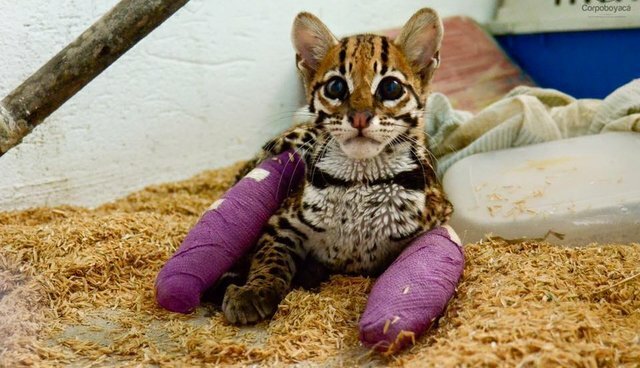 Though the margay's injuries were likely serious enough to warrant amputation, her rescuers were determined to try an alternative that could give her a chance at a normal life. 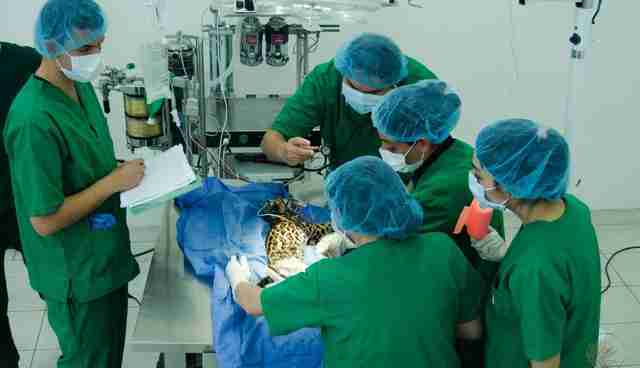 In a first-of-its kind surgery performed on a margay at their clinic, veterinarians from the University Foundation Juan de Castellanos repaired the cat's shattered limbs by fixing them together with plates. Fortunately, the three-hour procedure was deemed a success - after which, the margay was fitted with a pair of tiny purple casts to ensure her bones heal properly. 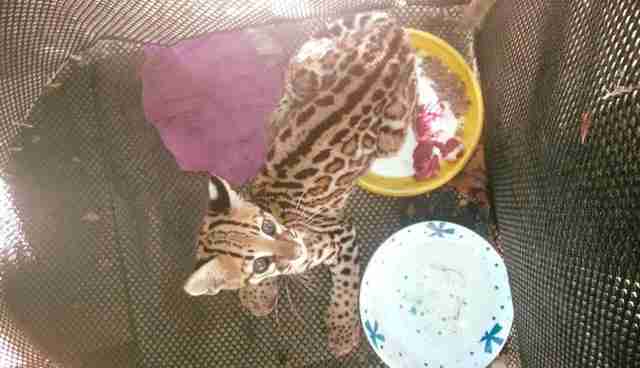 It's too early to tell if other complications might arise, but vets say that the margay is doing great at the moment. If all goes well in her recovery, the hope is that she will one day be released to live free back in the wild.